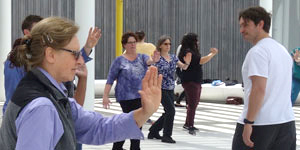 Gentle meditation in motion, both an exercise and a martial art, for staff, faculty and students. Led by David Moore, industrial hygienist in UC Davis Environmental Health and Safety Services. No advance sign-ups — just show up!